When war is not an option, controlled strikes are too risky and sending dossiers to Pakistan doesn’t yield any result, what should India do to drive sense into Pakistan? What should be its idea of a "tough response" to Pakistan-backed terrorists killing 18 Indian soldiers at Uri? The buzz is that New Delhi should use water as a weapon to bring Islamabad to heel. As Prime Minister Narendra Modi reportedly took the decision today (Sep 26) to assert the rights allocated to India as per the treaty and utilise the western rivers of Indus basin to maximum potential, experts are already wallowing in a debate on whether India should come out of the treaty to teach the enemy state a lesson. 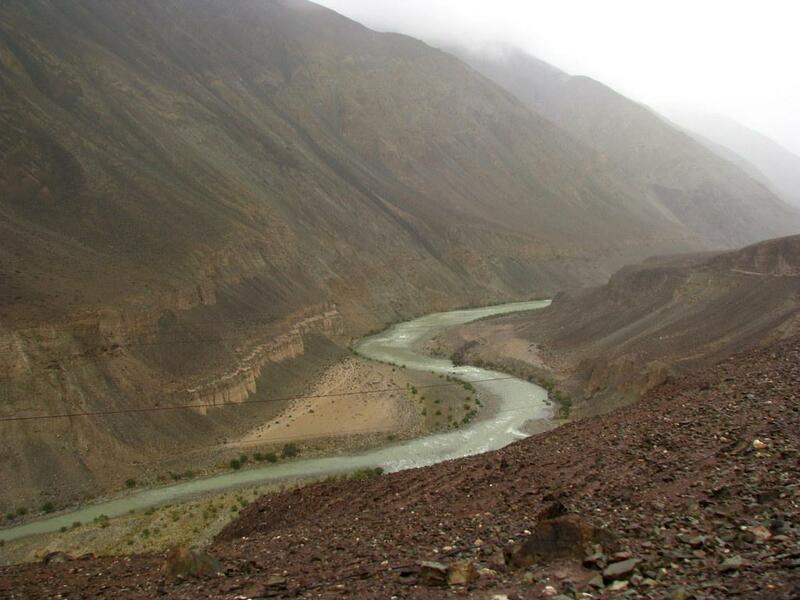 What is Indus Waters Treaty? This water-distribution treaty between India and Pakistan signed in on September 19, 1960, gave Pakistan the exclusive right to use waters from the Indus and its westward flowing tributaries, the Jhelum and the Chenab. However, Jammu & Kashmir was allowed to use some water from these rivers for hydropower generation, domestic use and agriculture. The IWT gave India the control over three eastern rivers— the Beas, the Ravi and the Sutlej. Since Pakistan's rivers flow through India first, the treaty allowed India to use them for irrigation, transport and power generation. It laid down regulations for Indian building projects along the way. Pakistan feared that, since the sources of rivers of the Indus basin are in India, it could lead to droughts and famines in its country, especially in times of war. 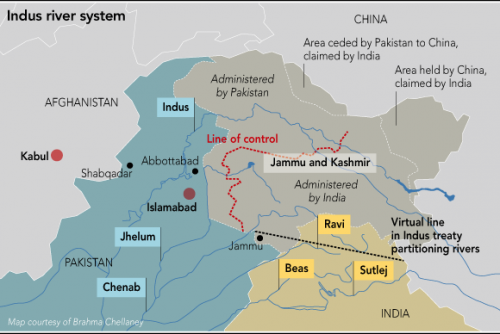 According to Brahma Chellaney, professor at the Centre for Policy Research, “The IWT kept for India just 19.48 per cent of the total waters of the six-river Indus system", while the main Jammu & Kashmir rivers (the Chenab, the Jhelum and the Indus) were reserved for Pakistani use. While the Supreme Court’s recent order to Karnataka to release 3.8 tmcft of Cauvery water to Tamil Nadu led to bouts of violence in both the states, India has been gifting about 5,900 tmcft of water every year to Pakistan with hardly any qualms. What if India abrogates the treaty? Pakistan's economy depends extensively on the waters from these three rivers. From textile to sugar and agriculture to industry, the IWT plays a major role in keeping the country’s economic wheel moving. According to experts, the country’s economy would collapse if it stops receiving water. But some experts see dual benefit of this move for India: the people of J&K will have more electricity and Pakistan will be compelled to decide whether it wants water from the Indus or terror. Since isolating Pakistan diplomatically is not going to make any difference to Pakistan’s approach to terror targeted against India, this step, many consider, will compel Pakistan to mend its ways. Why do experts call for abrogating the Indus Waters Treaty? Chellaney is of the opinion that “India should hold out a credible threat of dissolving the Indus Water Treaty” and link Pakistan’s right to unlimited water inflows with its responsibility to ensure no harm is done to its neighbour. His views were seconded by former finance Minister Yashwant Sinha when he recently wrote, "Treaty terms are observed between friends, not enemies.” For him, India will be fully justified in abrogating the IWT with Pakistan as a counter-offensive to Pakistan’s “acts of war” against the country. It has also been suggested that India can stop short of abrogating the treaty by exploring other options like renegotiating the terms of the agreement or building a few projects on the rivers that enter Pakistan via India. Another argument that supporters of abrogating IWT put forth is that India’s population and needs have grown many folds since the treaty was signed and there’s tremendous scope for projects, especially across the Chenab and the Jhelum. Making a case for coming out of this “unfair agreement purely from an economic point of view", SK Sharma, chairman of the Chandigarh-based Bhakra-Beas Management Board, said that India should give a serious thought to linking all the six rivers in the Indus basin. Pakistan has been going ahead with big hydel power projects in its part of the Indus basin, some of them with the help of China. And it is doing it with impunity. It is the same country that had moved to the International Court of Arbitration at The Hague to protest the Kishanganga Hydroelectric project in north Kashmir. Despite India reducing scope of the project, Pakistan wasn’t happy. Now its Neelum-Jheelum hydel project is reportedly thrice as big as India’s Kishnaganga project in North Kashmir in terms of power production. According to Shakil Ahmad Romshoo, head of the earth sciences, geology and geophysics departments, University of Kashmir, scrapping IWT is technically not possible since India doesn’t have diversion canals to divert water out of the state or store it in case it decides to stop the water supply to Pakistan. Due to lack of storage capacity, the Kashmir valley (as well as Jammu) will be flooded, more so, because Kashmir doesn’t not need too much water for irrigation purposes. Even if India intends to build dams on the Indus and its tributaries to reduce the water flow into Pakistan, it would take years for them to materialise. Moreover, they can become easy terror targets. According to former Indian envoy, M Bhadrakumar, India must have clarity on the impact such an act will have in the minds of the international community? Calling the idea of depriving 190 million people of water “repugnant”, Bhadrakumar argued that it would arouse negative feelings among India's small neighbours as well. If India does this to Pakistan, China can does the same to India, which would be scary considering its very heavy dependence on waters flowing into it from rivers that originate in Tibet.